Physitrack is the platform of choice for thousands of healthcare professionals all over the world to assign exercise programs, educate clients and track client outcomes. We've done our best to make Physitrack as intuitive as possible. However, Physitrack is a powerful tool, built for healthcare professionals, and investing a few minutes in learning how to best use Physitrack will let you use our platform as efficiently as possible. If at any time, you have any questions whatsoever, please email us at support@physitrack.com, and we'll get back to you within one working day. On Physitrack, you can assign a mix of exercises, pre-made exercise programs, educational content and outcome measures to your clients. 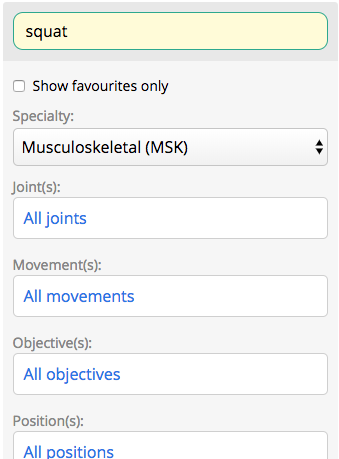 Filter and find the exercises that you want to assign using the filter or our search box on the left hand side of the screen. If you would like to preview an exercise, click anywhere on the picture or title. You can also add pre-made exercise programs educational content and outcome measure to a program in the same way. When you are done adding content, click the basket icon (see below) to open the program designer. Missing exercises? Simply add your own. Every month, we add new content to Physitrack. 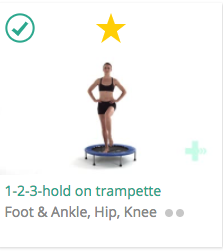 If you are missing exercises, click the Camera icon in the top right to upload your own exercise videos to Physitrack, or email support@physitrack.com with your request for specific exercises.